View cart “The Rose” has been added to your cart. Lyrics start: "Tonight I'm gonna have myself a real good time, I feel alive....."
“A Tribute to Queen” is a work arranged for SATB by Mark Brymer. This version differs slightly as I have also included ‘Don’t Stop Me Now’ (Key of A Major) at the beginning which then runs into ‘A Tribute to Queen’ (Beginning in b minor) consisting of sections of ‘We Will Rock You’, ‘Another One Bites the Dust’, ‘We Are the Champions’ and ‘Bohemian Rhapsody’. Don’t Stop Me Now is simply in unison with the rest in SATB sections. “Don’t Stop Me Now” featured on their 1978 album Jazz that was released as a single in 1979. Written by lead singer Freddie Mercury, it was recorded in August 1978 at Super Bear Studios in Berre-les-Alpes (Alpes-Maritimes), France, and is the twelfth track on the album. Musically the song builds on Mercury’s piano playing, with John Deacon and Roger Taylor providing a bass guitar and drums backing track. The song also provides an example of Queen’s trademark style of multitrack harmony vocals for the chorus lines. “We Will Rock You” is a song written by Brian May and recorded by Queen for their 1977 album News of the World. Rolling Stone ranked it number 330 of “The 500 Greatest Songs of All Time” in 2004, and it placed at number 146 on the Songs of the Century list in 2001. In 2009, “We Will Rock You” was inducted into the Grammy Hall of Fame. Other than the last 30 seconds containing a guitar solo by May, the song is generally set in a cappella form, using only stomping and clapping as a rhythmic body percussion beat. In 1977, “We Will Rock You” and “We Are the Champions” were issued together as a worldwide top 10 single. Soon after the album was released, many radio stations began playing the songs consecutively and without interruption. “Another One Bites the Dust” is a 1980 song by Queen. Written by bass guitarist John Deacon, the song featured on the group’s eighth studio album The Game (1980). The song was a worldwide hit, charting number one on the US Billboard Hot 100 for three weeks, from 4 October to 18 October (their second number-one single in the country). The song is credited as Queen’s best-selling single, with sales of over 7 million copies. This version was ranked at number 34 on Billboard’s All-Time Top Songs. “We Are the Champions” was first released on their 1977 album News of the World. Written by lead singer Freddie Mercury, it is one of Queen’s most popular songs, and one of rock’s most recognisable anthems. The song was a worldwide success, reaching number two in the UK Singles Chart, and number four on the Billboard Hot 100 in the United States. In 2009, “We Are the Champions” was inducted into the Grammy Hall of Fame, and was voted the world’s favourite song in a 2005 Sony Ericsson world music poll. In 2011, a team of scientific researchers concluded that the song was the catchiest in the history of popular music. 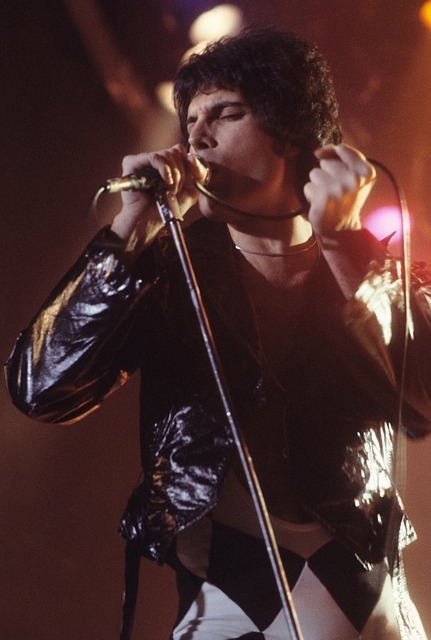 “Bohemian Rhapsody” was written by Freddie Mercury for the band’s 1975 album A Night at the Opera. It is a six-minute suite, consisting of several sections without a chorus: an intro, a ballad segment, an operatic passage, a hard rock part and a reflective coda. The song is a more accessible take on the 1970s progressive rock genre. It was reportedly the most expensive single ever made at the time of its release, although the exact cost of production cannot be determined. When it was released as a single, “Bohemian Rhapsody” became a commercial success, staying at the top of the UK Singles Chart for nine weeks and selling more than a million copies by the end of January 1976. It reached number one again in 1991 for another five weeks when the same version was re-released following Mercury’s death, eventually becoming the UK’s third-best-selling single of all time. It is also the only song to be the UK Christmas number one twice by the same artist. In 2004, “Bohemian Rhapsody” was inducted into the Grammy Hall of Fame. In 2012, the song topped the list on an ITV nationwide poll in the UK to find “The Nation’s Favourite Number One” over 60 years of music, while Mercury’s vocal performance was chosen as the greatest in rock history by readers of Rolling Stone. Andantino, Second Movement . . .